In December 2017 Mr Snuggles and his female companions Selena, Katrina, Claudia, Ginny, Grace and young Dotti arrived at Happy Hooves. These seven damara crosses were impounded by Cockburn rangers. The owners did not come forward to claim the seven lost sheep, and so they made their way to the sanctuary. Soon after their arrival Mr Snuggles had a visit to our vet for castration as we didn’t want the family to grow any bigger! When the group arrived Dotti was only a week or so old. She was the most curious of the group, and her mother Selena was is always by her side. The rest of the gang were quite scared of humans, so we gave them some space while they stayed in our isolation yards. Once they group were in good health, and Mr Snuggles had healed from his procedure. 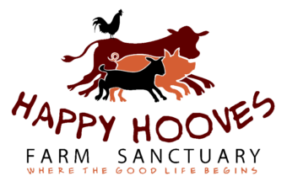 The group joined the Happy Hooves flock, bringing the size up to 60 sheep!